Set on a hillside with stunning Sirinath National Park views, which can be enjoyed from a private balcony, 56 square metres (42 square metre living space and 14 square metre outside area) of beautifully appointed living space provides a cosy hideaway with luxurious features and amenities. 79 square metres (60 square metre living space and 19 square metre outside area) of tasteful living space offers a spacious hillside haven. Witness an enchanting sunset from an expansive private balcony, elevated high above the villas below. 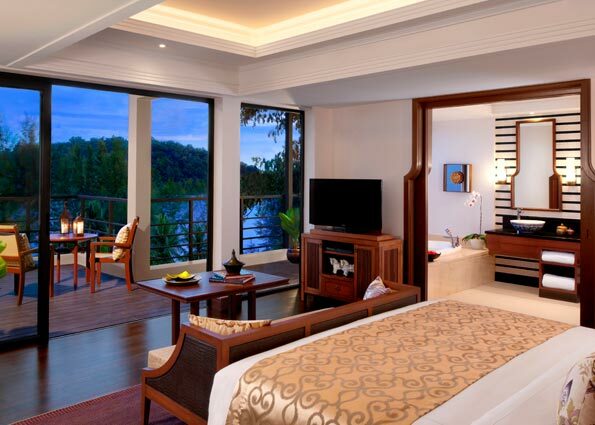 Take in the backdrop of distant hills before retreating to your suite’s exquisite interior. With interconnecting options, these villas are a perfect choice for both families and couples seeking relaxation and superior comfort. This intimate pool villa provides 100 square metres (45 square metre living space and 55 square metre outside area) of private seclusion, complete with a personal pool of 5 by 3 metres, an outdoor bathtub and sundeck. 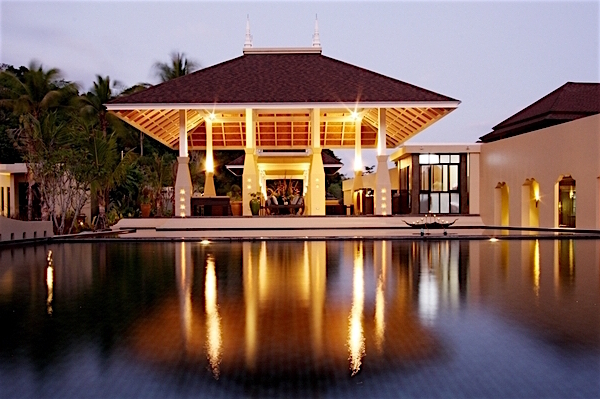 Spacious and decadent, each luxury villa blends unique Thai charm. The perfect choice for young families seeking a relaxed private sanctuary, each 100 square metre Family Pool Villa combines a stylish 45 square metre interior with 55 square metres of tropical al fresco pleasures. Your master bedroom includes a separate sleeping area for a toddler or young child. Share quality time together as you take refreshing dips in your 5 x 3 metre plunge pool, dine poolside or soak beneath the stars in your outdoor wooden bathtub. Ideal for couples looking for a romantic retreat, this generous pool villa boasts 220 square metres of space (80 square metre living space and 140 square metre outside area), including an extravagant oversized bathroom, hardwood deck, generous 7 by 3 metre personal pool and an open-air sala. Relish a secluded paradise with a private garden that is perfect for enjoying the tropical climate. Each Beach Access Pool Villa offers 180 square metres of prestigious island living (65 square metre living space and 115 square metre outside area). Soak in the free-standing bathtub of your oversized bathroom or in the privacy of your 5 by 4 metre personal pool. Wake up after a restful night’s sleep to a view of the morning’s rays on your sun terrace. 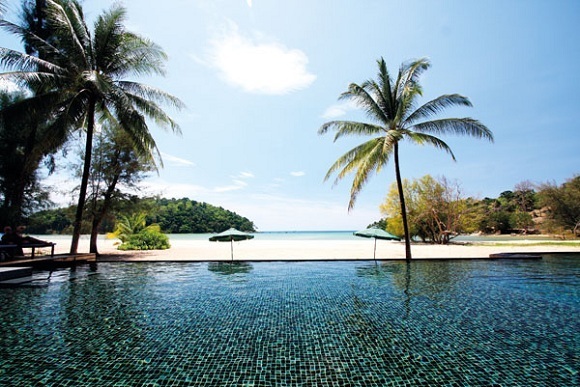 Stroll through tropical greenery to the serenity of Layan Beach. Bask in superior luxury in this palatial villa, offering 280 square metres of living space, including an expansive 180 square metre outdoor area. Refresh in a private pool of 7 by 3 metres, before rinsing off under your outdoor shower. Relax in the shade of an air conditioned living sala with a drink in hand, or enjoy the benefits of direct beach access. Everything you need for an indulgent stay is at your fingertips. Call our one-of-a-kind Two Bedroom Pool Villa your beautiful home away from home. 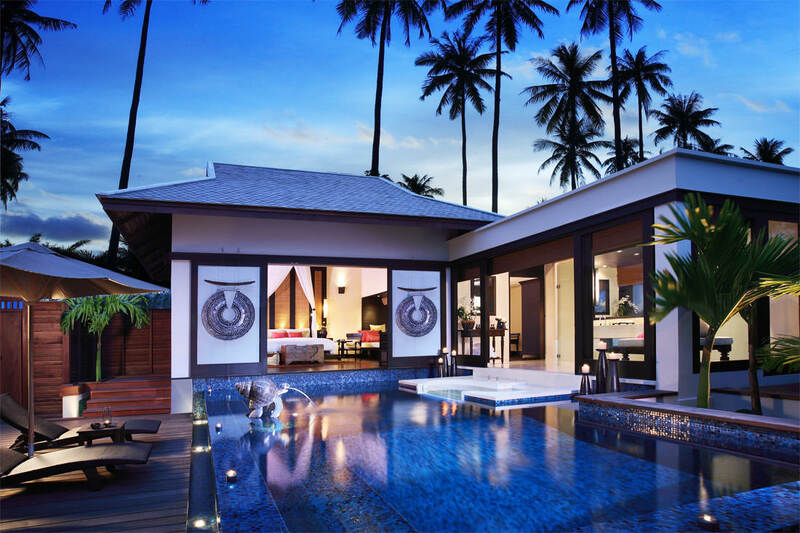 This 220 square metre (110 square metre living space and 110 square metre outside area) pool villa features two luxurious en-suite bedrooms with king size beds, adjoining a stylish living room. Watch your little ones splash about as you rest on loungers and soak up the sun. Sleep in absolute comfort, with the master bedroom and second bedroom featuring an oversized shared bathroom in between. Enjoy lazy days together in the idyllic seclusion of your 7 by 3 metre pool and sundeck. This villa is designed with groups and families in mind, and with over 320 square metres of space (250 square metre living space and 70 square metre outside area) can sleep up to six adults comfortably with king and queen sized beds. Relax in the comfort of your parlour, or take advantage of the tropical outdoor space and soak up the sun’s warm rays. Discover the ultimate tropical island retreat with 485 square metres of space (280 square metre living space and 205 square metre outside area) allowing six adults to escape in luxury, complete with a 17 metre by 5 1⁄2 metre private pool, as well as an extensive outdoor area. Enjoy direct beach access, wake up to a gentle sea breeze and fall asleep to the sound of ocean waves. an emphasis on fresh ingredients and exceptional execution. 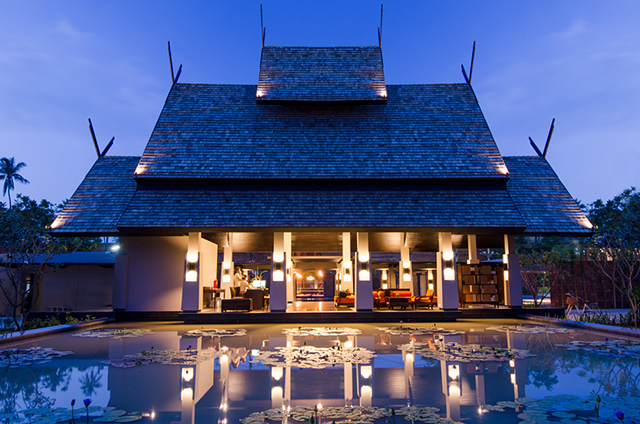 Our signature restaurant serves vibrant Thai dishes with divine flavour pairings. These intricate creations have been perfected to flawlessly blend spice and zest by our experienced chefs. Savour their masterpieces for dinner, and have our Wine Guru expertly match a fine wine with your meal. to do the cooking for you. Savour succulent meats and fresh seafood with delicious side dishes and condiments, at a table that has been set up especially for the occasion. Experience an indulgent dining journey like no other. Choose your dream location and we’ll create a picturesque dining setting under the stars. Browse a collection of fine dining menus, or customise a menu with our chef to suit your tastes and preferences. Then share an unforgettable meal with private butler service. Live the dream of an exotic island wedding, either on the soft sands of Layan Beach with a floral trellis framing the sea, or in our beautiful cliff-side chapel. Say “I do” in an elegant western ceremony or with traditional Thai rituals. Celebrate afterwards with an intimate evening just for two, or throw a lavish party for your dearest relatives and friends, enjoying sublime cuisine and unforgettable entertainment that is tailored to your wishes. With a dedicated wedding planner taking care of every last detail, the possibilities are limited only by your imagination. A sanctuary within a sanctuary, Anantara Spa offers the perfect setting for rejuvenating wellness and pampering relaxation. Put your wellbeing and beauty desires in the skilled hands of therapists who are trained to the highest international standards. Embark upon journeys that are tailored to your individual needs and mood, enriched by our warmly personalised service. Hideaway in one of seven luxurious treatment suites, or treat yourself to salon services, including deluxe manicure and pedicure treatments. Indulge in a personally prescribed facial for youthful radiance. Revitalise every inch of skin with scrubs and wraps of highly prized local wellness ingredients. Surrender to healing massages from ancient Asian wellness traditions and revered western techniques, or escape the limits of time with a carefully crafted package. Sirinath National Park. 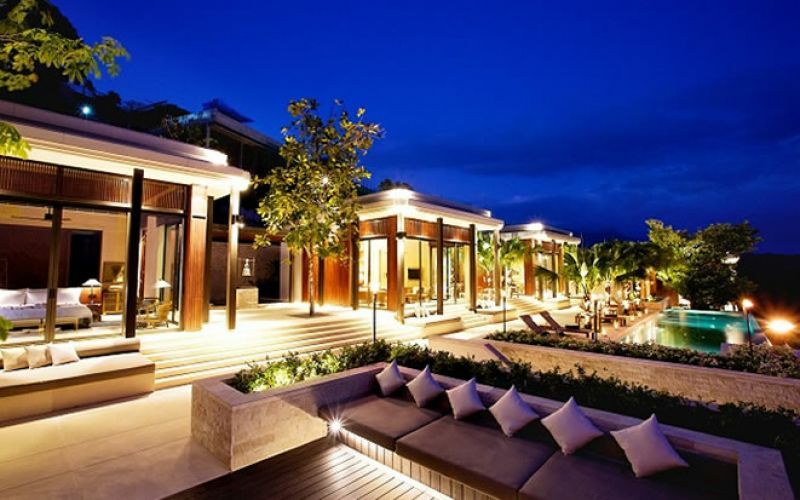 Phuket International Airport (HKT) is just a 20 minute drive away, with regular flights offered daily to and from Bangkok by several domestic and international carriers. The airport also receives traffic from a limited number of international destinations. In dry season, temperatures range between 23 °C and 31 °C accompanied by refreshing winds. Natural fibres and breathable clothing are recommended. 30 °C to 35 °C. Natural fibres and breathable clothing are recommended. Temperatures range from 24 °C to 31 °C. Refreshing rain showers often last for only short periods before becoming sunny once again. Natural fibres, breathable clothing and light waterproofs are recommended. 10 room, suite and villa types are defined by a unique charm, blending character and luxury distinction.